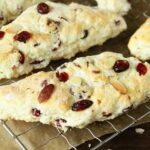 I was so excited about sharing those White Chocolate Cranberry Oatmeal Cookies earlier in the week that I just had to share another recipe using those delicious dried cranberries from Sprouts Farmers Market. 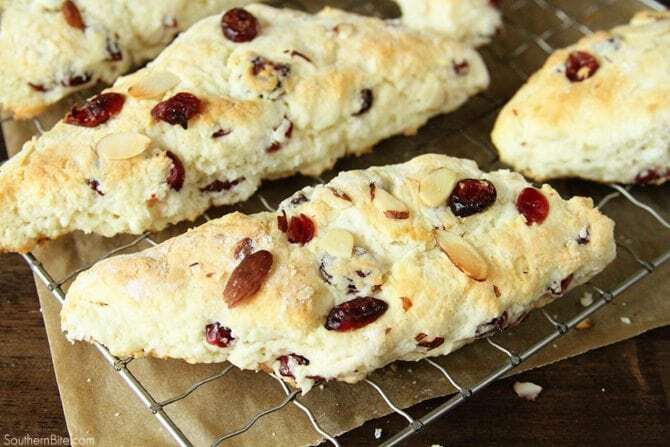 These Cranberry Almond Scones are so easy and they make the perfect holiday breakfast – or any breakfast for that matter! Preheat the oven to 425°F and line a large baking sheet with parchment paper or a silicone baking mat. In a large bowl, whisk together the flour and sugar. Using a pastry blender or two forks, cut the butter into the flour until the butter resembles the size of small peas. 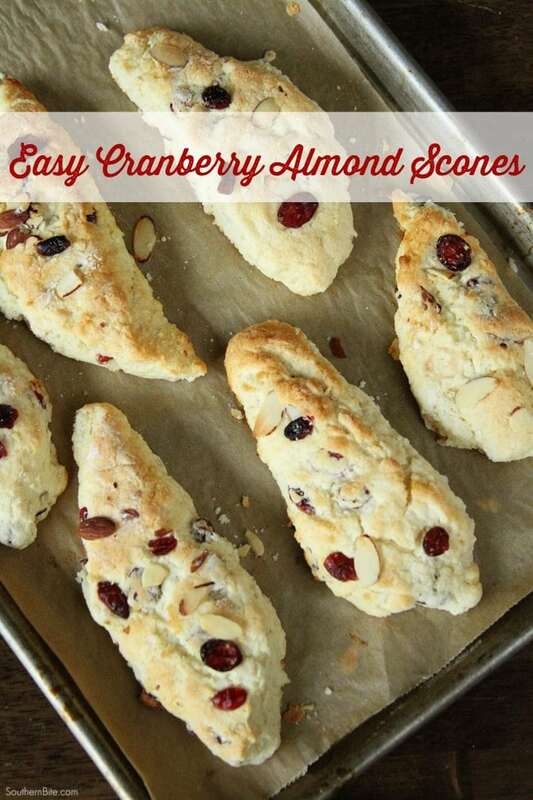 Add the milk, egg, vanilla, cranberries, and almonds and mix well. The dough should be biscuit like and not too sticky. You may need to use your hands to get it all blended well and worked together. Add a sprinkle of flour and work again if the dough is too sticky or a few drops of milk if it's too stiff. Turn the dough out onto a floured surface or pastry cloth and sprinkle it with a little flour. Pat the dough into an 8-inch round about 3/4" thick. Use a knife to cut the dough into 8 triangle "slices" and transfer them to the baking pan, placing them about an inch apart. Bake for about 15 minutes or until golden brown. Serve warm. I love scones. They always remind me of tea time with my mom.